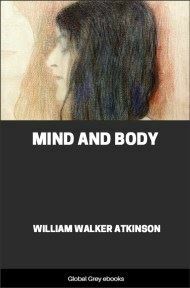 This 1911 seminal volume is a fascinating, powerful and full spectrum study of the human mind. 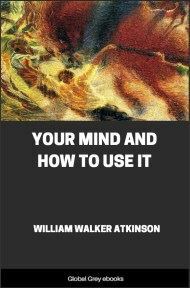 From detailed chapters on how the human mind works, to chapters on how the mind creates certain physical and emotional feelings; occult author Atkinson skillfully explores and explains how your emotions can be transformed and utilized to your benefit. PSYCHOLOGY is generally considered to be the science of mind, although more properly it is the science of mental states—thoughts, feelings, and acts of volition. 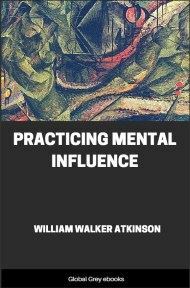 It was formerly the custom of writers on the subject of psychology to begin by an attempt to define and describe the nature of mind, before proceeding to a consideration of the subject of the various mental spates and activities. But more recent authorities have rebelled against this demand, and have claimed that it is no more reasonable to hold that psychology should be held to an explanation of the ultimate nature of mind than it is that physical science be held to an explanation of the ultimate nature of matter. The attempt to explain the ultimate nature of either is futile—no actual necessity exists for explanation in either case. Physics may explain the phenomena of matter, and psychology the phenomena of mind, without regard to the ultimate nature of the substance of either. The science of physics has progressed steadily during the past century, notwithstanding the fact that the theories regarding the ultimate nature of matter have been revolutionized during that period. The facts of the phenomena of matter remain, notwithstanding the change of theory regarding the nature of matter itself. Science demands and holds fast to facts, regarding theories as but working hypotheses at the best. Some one has said that "theories are but the bubbles with which the grown-up children of science amuse themselves." Science holds several well-supported, though opposing, theories regarding the nature of electricity, but the facts of the phenomena of electricity, and the application thereof, are agreed upon by the disputing theorists. And so it is with psychology; the facts regarding mental states are agreed upon, and methods of developing mental powers are effectively employed, without regard to whether mind is a product of the brain, or the brain merely an organ of the mind. The fact that the brain and nervous system are employed in the phenomena of thought is conceded by all, and that is all that is necessary for a basis for the science of psychology. 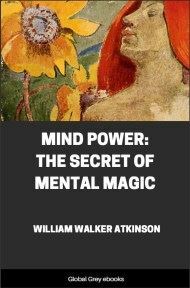 Disputes regarding the ultimate nature of mind are now generally passed over to the philosophers and metaphysicians, while psychology devotes its entire attention to studying the laws of mental activities, and to discovering methods of mental development. Even philosophy is beginning to tire of the eternal "why" and is devoting its attention to the "how" phase of things. 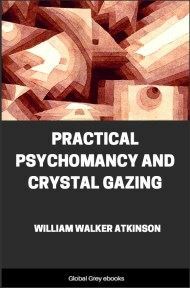 The pragmatic spirit has invaded the field of philosophy, expressing itself in the words of Prof. William James, who said: "Pragmatism is the attitude of looking away from first things, principles, categories, supposed necessities; and of looking forward toward last things, fruits, consequences, facts." Modern psychology is essentially pragmatic in its treatment of the subject of the mind. Leaving to metaphysics the old arguments and disputes regarding the ultimate nature of mind, it bends all its energies upon discovering the laws of mental activities and states, and developing methods whereby the mind may be trained to perform better and more work, to conserve its energies, to concentrate its forces. To modern psychology the mind is something to be used, not merely something about which to speculate and theorize. While the metaphysicians deplore this tendency, the practical people of the world rejoice. Mind is defined as "the faculty or power whereby thinking creatures, feel, think, and will." This definition is inadequate and circular in nature, but this is unavoidable, for mind can be defined only in its own terms and only by reference to its own processes. Mind, except in reference to its own activities, cannot be defined or conceived. It is known to itself only through its activities. Mind without mental states is a mere abstraction—a word without a corresponding mental image or concept. 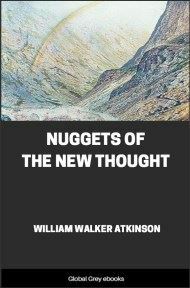 Sir William Hamilton expressed the matter as clearly as possible, when he said: "What we mean by mind is simply that which perceives, thinks, feels, wills, and desires." 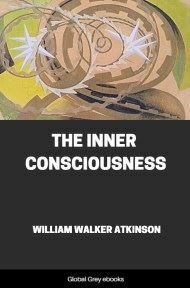 Without the perceiving, thinking, feeling, willing, and desiring, it is impossible to form a clear conception or mental image of mind; deprived of its phenomena it becomes the merest abstraction. "Think About That Which Thinks." Perhaps the simplest method of conveying the idea of the existence and nature of the mind is that attributed to a celebrated German teacher of psychology who was wont to begin his course by bidding his students think of something, his desk, for example. Then he would say, "Now think of that which thinks about the desk." Then, after a pause, he would add, "This thing which thinks about the desk, and about which you are now thinking, is the subject matter of our study of psychology." The professor could not have said more had he lectured for a month. Professor Gordy has well said on this point: "The mind must either be that which thinks, feels, and wills, or it must be the thoughts, feelings, and acts of will of which we are conscious—mental facts, in one word. But what can we know about that which thinks, feels, and wills, and what can we find out about it? Where is it? You will probably say, in the brain. But, if you are speaking literally, if you say that it is in the brain, as a pencil is in the pocket, then you must mean that it takes up room, that it occupies space, and that would make it very much like a material thing.